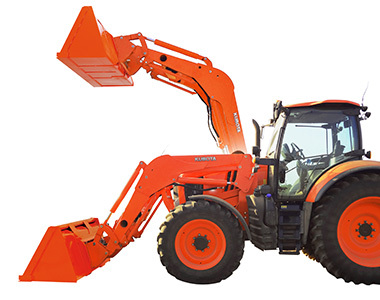 Introducing the new M7-1, Kubota’s most powerful tractor ever. It’s an evolution in comfort, performance, and revolutionary in its low impact on the environment. 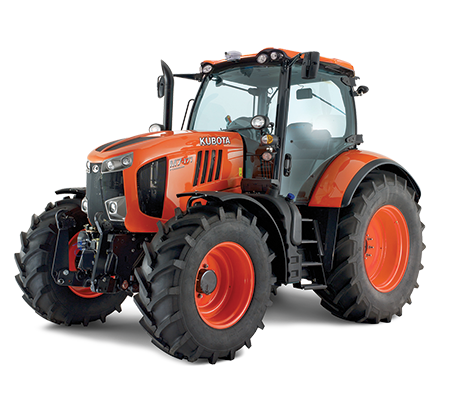 Specifically designed for the farming professional who wants a versatile and hard-working tractor, the M7-1 is powered by a next-generation 6.1 litre, four-cylinder diesel engine, incorporating Kubota’s clean-air technology and available in 130HP, 150HP or 170HP variants. Kubota’s vision for a tractor that makes farming more efficient while working in harmony with the earth is now a reality. 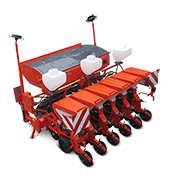 It’s perfecting this delicate balance that makes the M7-1 the future of farming. 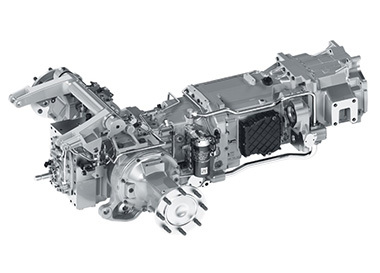 The V6108 engine boasts the latest in clean-engine technology. Selective Catalytic Reduction (SCR) injects diesel exhaust fluid (DEF/AdBlue®) into the hot exhaust gas, transforming it into harmless water vapour and nitrogen. 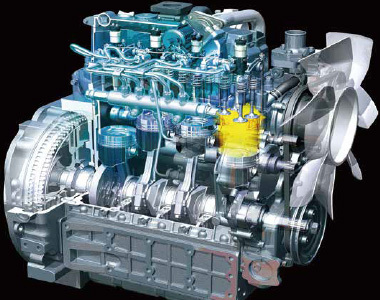 The Common Rail System (CRS) electronically controls the timing and amount of high-pressure injected fuel in stages for optimal combustion, which results in greater efficiency, better fuel economy and less engine noise. The combination of these two systems with a Diesel Particulate Filter (DPF) muffler and an Exhaust Gas Recirculation (EGR) system ensure that the M7-1 not only meets the latest Stage 4 emissions regulations, but dramatically exceeds them. Power is the key to superior tractor performance, and the M7-1 has all that you need to handle any task quickly and efficiently. However, when a particularly tough job demands even more power for short periods, the M7-1’s Power Boost engages, and the engine instantly delivers more power from beginning to end. between refuelling stops, the M7-1 is equipped with extra large tanks for fuel (330 litres) and AdBlue (38 litres). The M7-1 features Kubota’s original, dependable and automatic Powershift transmission that provides 4 forward and 4 reverse speeds across six speed ranges for a total of 24 speeds, that can be shifted without clutch. With so many speeds to choose from, it’s easy to match the right speed to the job. Some special jobs can’t be done properly at normal working speeds. That’s why the M7-1 gives you 16 forward and 16 reverse creep speeds (option) to let you do those kinds of jobs at an extremely slow working pace. Available on the M7-1 Premium K-VT, this model provides a virtually infinite number of forward and reverse speeds, letting you work at the optimum speed for each job. Highly responsive and reliable, the K-VT transmission also features dynamic braking with engine-assisted deceleration, to help maintain control and a constant travelling speed while descending slopes. For transport and moving between jobs, simply select the M7-1’s ECO mode. It reduces the engine speed while maintaining a travelling speed of either 40 km/h or 50 km/h (option). You’ll save fuel and work longer between refuelling stops. The M7-1 is engineered to provide extremely high levels of manoeuvrability and control. One way it does this is by automatically matching the operating situation to the optimum speed, allowing the operator to concentrate on driving. During travelling, Travel mode adjusts the gears to the road conditions, incline (up or down) and amount of acceleration. 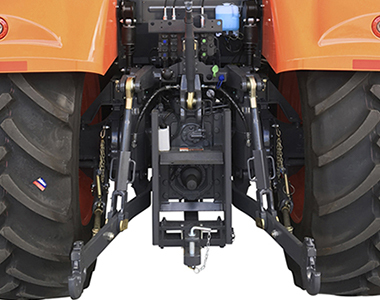 In Field mode, the transmission shifts down 2 gears as soon as the three-point hitch is raised. Field mode also minimises changes in PTO revolutions when the PTO switch is engaged. 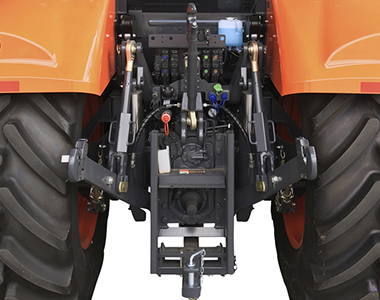 To help you get more work done in less time with less effort, Kubota has developed a unique multi-function operating lever that puts all of the M7-1’s major functions on a single easy-to-use control lever. Your right hand is always on the lever, leaving your left hand free for steering. Tractor operations couldn’t be simpler or more convenient. The Standard model features a simple multi-function lever that is easy to operate. A speed control switch lets you quickly change speeds and direction and work at the optimum speed for the task. Other functions under your fingertips are the range-change, linkage-lift & lower, shuttle and auto-gear-change. When you’re in the paddock from dawn to dusk, you want a comfortable ride to help you work efficiently. The M7-1’s extra-wide cabin is designed to do just that. With just four corner posts and no centre pillars to get in the way, the view out the front, rear and both sides is virtually unobstructed. The cabin design also reduces noise from the outside to a minimum, so you can work in a stress-free environment day in and day out. The M7-1 cabin is available with your choice of suspension systems: Mechanical (Spring) or Air. The cabin suspension makes for a smooth ride and keeps you comfortable and productive for long hours. The M7-1’s front suspension (option) helps ensure a comfortable ride as well as stable and precise operation. It works seamlessly with the shock absorbers to let you smoothly negotiate rough terrain and maintain traction. Automatic, Block and Manual modes are available to give the operator all the necessary choices. The M7-1 premium models offer CCLS hydraulics and a variable flow rate that can handle a variety of functions simultaneously, as well as a 110 litre independent PFC pump and electronic valves control with four standard valves, power beyond and the option of a fifth valve. The M7-1 standard model is ready to go to work with open centre hydraulics, 80 litre gear type pump and three mechanical control valves standard. A fourth valve is available as an option. The Category III 3-point hitch offers a huge 9000kg lifting capacity to easily handle jobs that require heavy implements. Kubota’s 4 speed live independent PTO gives you the ability to operate a variety of rear-mounted implements at their optimum speeds, the independent PTO can be engaged and disengaged on the run using a single control switch with automatic modulation for smooth engagement. You’ll appreciate the convenience and precision Auto PTO provides when turning at the end of a row. 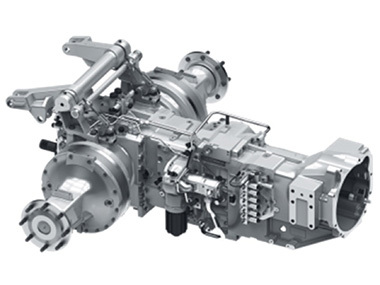 Auto PTO automatically disengages the PTO when the linkage is raised, and then re-engages when the linkage is lowered. An optional front 3-point hitch adds even more versatility to the M7-1’s already impressive capabilities. The M7-1 also offers the optional front PTO, which allows front mounted implements driven with 1000rpm, for ultimate productivity. All of the M7-1’s functions are conveniently displayed on a single large LCD touch screen and can be adjusted and set with the simple touch of a finger. 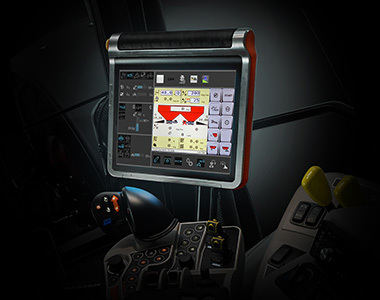 The four main functions – Tractor Control, ISO-BUS connector-compatible implement control, GPS-compatible auto-guidance and Camera Monitor are always displayed on the user-friendly panel, simplifying their adjustment and monitoring. You can even edit the displayed information to show only what you want to see. The M7-1 can handle any ISO-BUS compatible implement. Simply attach the implement to the universal connector and information about the implement is instantly displayed on the LCD monitor for adjustment and control. No need to install another control box, extra monitor, extension, power source or wiring. The M7-1 offers integrated GPS applications as options. 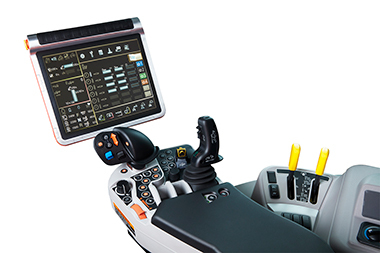 Auto Steer with accuracies varying from autonomous to RTK, implement rate and section control through lSO-BUS, and data export to complement Farm Management Software. The future of farming starts with the M7-1. 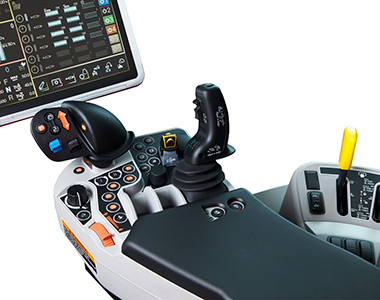 The M7-1 Headland Management System allows the operator to create and play back operating sequences for turning at the headland, making turns as easy as pushing one button. For example, at the end of a row, the operator starts a sequence of slowing down, lifting an implement and disengaging the PTO, 4WD and Diff-Lock, and then reversing this sequence at the start of the next row. The entire sequence can be played back precisely over and over based on either distance or time, thereby substantially reducing the amount of concentration required by the operator. The result is greater precision, less fatigue and improved productivity. Four sequences can be called up directly and each sequence can be edited and stored to suit specific applications. 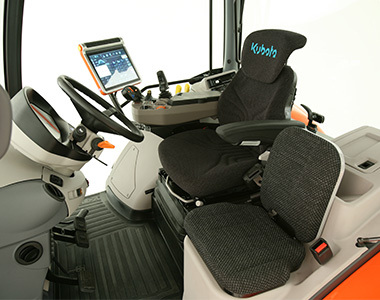 Kubota’s Front Loader Joystick greatly simplifies front loader operations so you can concentrate on the work ahead. 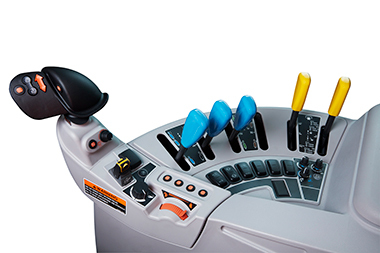 The joystick is located on the control console (premium models shown) providing smooth and effortless operation and optimized ergonomics. A third function valve lets you work with a grapple bucket and other hydraulically controlled attachments. The valve is conveniently controlled by a single button. The KSR helps to minimise fatigue by providing a ‘smooth’ ride of the tractor. This feature is particularly useful when your tasks include heavy loads and travelling across paddocks, collecting bales.